So, the other day I was traveling by train and it was an overnight journey. If you are following me on YouTube then you might know that I have a habit of listening to YouTube videos (or any audio for that matter) before falling asleep. It started with Ted videos, but now I listen to anything from audiobooks to interviews with successful entrepreneurs. 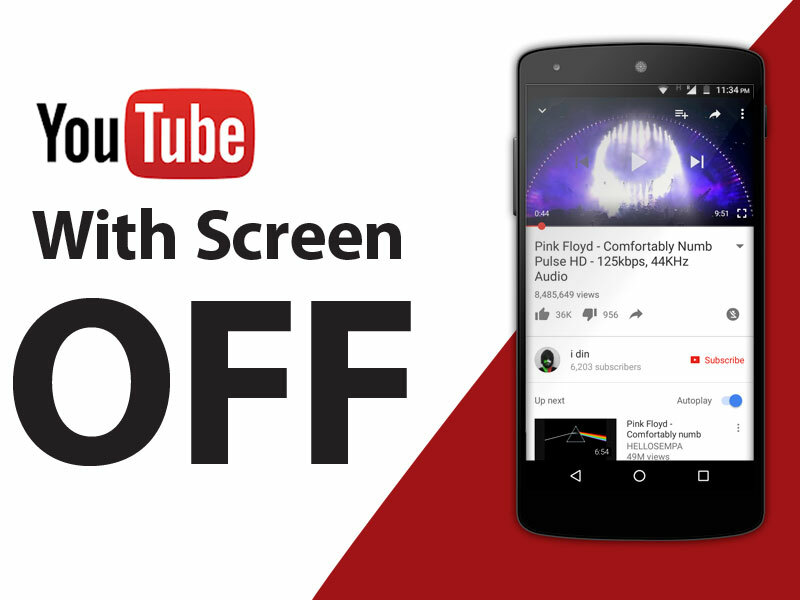 However, one big problem with YouTube app is – there is no option to play YouTube videos with screen off for free. If you lock your phone, the video playback stops. While if you listen to videos on YouTube at night, the lights coming out of the screen and battery drain are constant issues, which are quite irritating. Earlier we did mention a couple of ways to play YouTube videos in the background. However, playing YouTube videos with screen off is totally a different scenario. Yes, you do get this option with YouTube Red, but that comes at a price of $10/month. To make matters worse, YouTube red is currently only limited to folks living in the US. Certainly, both these conditions don’t work for me. So, how do I listen to YouTube videos with screen off? Well, fortunately, there are couple ways to do that both on Android and iOS. And, all these methods work pretty well in different situations. So, let’s take a look at them. This method is quite silly but useful in a pinch. Simply copy the YouTube video URL to your clipboard (the one that you would like to play with screen OFF). Next open Firefox browser on your Android device, paste the video URL and turn on desktop mode. That’s it. If you turn OFF the display, the video should play without any issue. To listen to YouTube with screen OFF on iPhone or iPad, you can use the same method with the Safari browser. Copy the video URL and paste in YouTube mobile site on Safari browser. Now play the video and go to your home screen. The video will stop playing. To resume the playback, swipe up to bring the control center and tap on the play button in the bottom left. The audio will start playing again. Even if you turn OFF your screen, the playback will continue. Watch the following video for a complete breakdown. Apparently, Google Chrome also lets you play YouTube video in the background and screen OFF, just like how we did in Firefox browser. However, since Google itself owns Chrome, we are not sure how long this is going to work. But Firefox is an open source project and should not have issues in future. If you are one of those lucky ones who have a rooted Android device with Xposed framework installed, then it’s time to rejoice the fruits of your hard work. 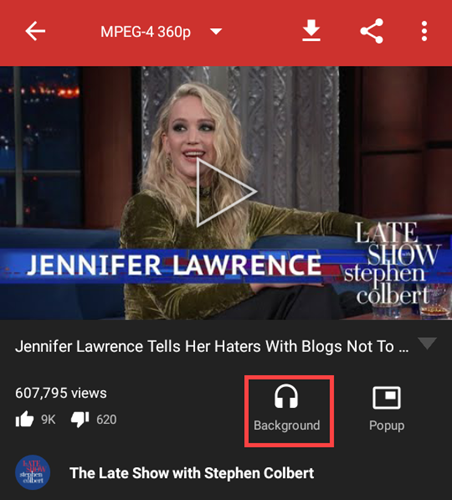 YouTube Background Playback is a simple Xposed module that lets you play YouTube videos in the background, and it also continues to play that video even if you turn OFF your screen. The module is pretty stable and is updated every month, so even if YouTube brings a new update to disturb the service, the module will find its way around. The way YouTube Background Playback works is quite ingenious. Once installed, simply play the video on the official YouTube app. Now, if you quit the app, you’ll see that video controls appear in the notification tray, you can press the play button to resume from where you left. And now, even if you lock your screen, the video will still play. You can also use other third-party apps like (Firetube, ListenOnYouTube, OG YouTube, etc. ) that we have mentioned in our how to play YouTube video in the background, link above. Can play offline YouTube video saved on YouTube app. If you are wondering which method did I use to listen to the YouTube video with screen OFF while I was traveling on the train, well it was this app. So, there are dozens of apps to play YouTube videos in the background, but where this app shines is that it lets you play YouTube videos inside the YouTube app with screen OFF. Just like you want it to be. And the way it works is by utilizing the proximity sensor. When you block the proximity sensor (usually next to your front camera), the screen turns black while everything that is being played on your Android keeps playing. This even works when you put your phone screen face down or when the phone is in the pocket. Overall, it is the best method since it saves a lot of battery juice and does exactly what it says. The free version is ad-supported, so you’ll have to watch a video or two occasionally. If you don’t like that, you can go with the paid version. There is also an option to customize the second’s delay, turn OFF persistent notification, lock sound, and timer etc., from the settings. Needless to say, this app is not available on Google Play Store for obvious reasons, but you can download it from its official website. And I’ve to say, I’m impressed by the creativity the developer has put into the app’s name and website. The other way to listen to YouTube videos in the background is to use the NewPipe app. This app works very differently than the Black Screen of Life app. In fact, it is very similar to use the Xposed module. When using this app, you can just tap a single button and lock your smartphone. The video just plays in the background, just like a music player. The best thing about the app is that it is very lightweight, clean, and easy to use. In fact, unlike any other third-party YouTube app, NewPipe just phrases the content from YouTube website and displays it in neat and usable format. If need be, you can even download videos with a single tap. To play any video of your choice in the background, simply open the video in NewPipe and tap on the “Background” icon appearing in the bottom right corner. That’s it, the video will be paused and the audio starts to play in the background, just like a music player. You can see the media playing the notification center. 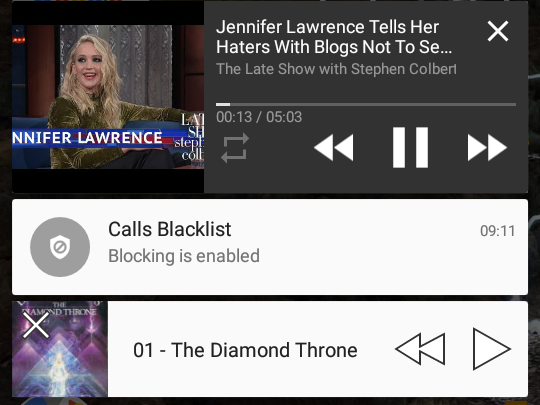 As the audio is playing, you can turn off the screen or lock your smartphone. The other thing I really like about this app is that you can add other videos to the background playlist. This eliminates the need to manually chose the videos for next playback. What’s more, the app is open source, completely free, and contains no ads. However, you cannot download this app from the Play Store due to obvious reasons. Open source, free, lightweight, and easy to use. Works just like any other music player. You can just lock your smartphone and turn off the screen. Ability to set video quality and download videos to SD card. There is no way to sign in to your Google account. You have to manually search for each and every video. No way to save or subscribe to channels you like from within the app. Cannot play videos saved on the official YouTube app. I would personally go with the black screen of life app since it does exactly what I want and works with the official YouTube app. Most of the time, when I’m listening to my favorite playlist on YouTube, I just put my Android phone screen facing the table, and the screen turns OFF, while the audio still playing. Perfect for nights and saving battery juice.